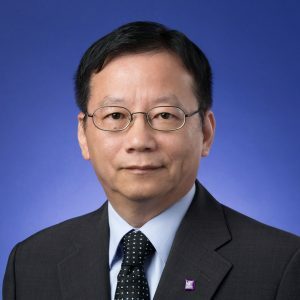 Prof. Jeff Yeung is the Director of Knowledge Transfer Centre, Director of EMBA Chinese Programme, and Director of Master of Science Programme in Information and Technology Management in The Chinese University of Hong Kong (CUHK). He is an Associate Professor in Department of Decision Science and Managerial Economics, CUHK Business School. Prof. Yeung got his BSc Degree from National Cheng Kung University, MSc in Industrial Engineering from University of Houston, and PhD in Manufacturing System Engineering from Queensland University of Technology. Before setting off to Queensland, Australia in 1994 to pursue a doctoral degree, he served several large corporations including Motorola, East Asiatic Company Hong Kong Ltd., and Emerson Network Power. Upon returning to Hong Kong in 1997, he started working as a General Manager for Albatronics Far East Ltd. – a Hong Kong public listed electronics manufacturing company. Prior to joining CUHK in 2000, Prof. Yeung was a Business Consultant for J.D. Edwards Hong Kong Limited, a leading supply chain management solution provider. Prof. Yeung has also been actively providing consultation and training for local and multinational corporations such as FedEx, Pfizer, Hong Kong Post, Fossil, China Telecom, Oriental Logistics, and Jusco. He published many articles in reputable international journals including International Journal of Production Research, Journal of Operations Management, Communications of the ACM, International Journal of Physical Distribution & Logistics Management, and Total Quality Management. He also published a book named The Challenges and Opportunities Facing Hong Kong Logistics Industry in 2012. Yinan Qi, Baofeng Huo, Zhiqiang Wang, Jeff Hoi-yan Yeung (2017), “The impact of operations and supply chain strategies on integration and performance,” International Journal of Production Economics, 185, 162-174. Valerie C. Y. Zhu, and Jeff Hoi-yan Yeung (2016), “An overview on the manufacturing strategy in China: Interpretations from 388 journal papers,” Journal of Scientific Research and Studies, 3(3), 43-50. Qian Yang, Xiande Zhao, Jeff Hoi-yan Yeung, and Yan Ping Liu (2016), “Improving logistics outsourcing performance through transactional and relational mechanisms under transaction uncertainties: Evidence from China,” International Journal of Production Economics,175, 12-23. Valerie Chun’yan Zhu, Jeff Hoi-yan Yeung, and David Dong Chen (2014), “Foxconn and the Serial Suicide Crisis,” Operations Management Education Review, 8, 31-56. Yina Li, Xuejun Xu, Xiande Zhao, Jeff Hoi-yan Yeung, Fei Ye (2012), “Supply Chain Coordination with Controllable Lead Time and Asymmetric Information,” European Journal of Operational Research, 217(1), 108-119. Jeff Hoi-yan Yeung, Dennis K. H. Wong, and Xiande Zhao (2012), “Emerson Network Power: Coping with the Challenges of a Mature Technology and Increasing Competition,” Operations Management Education Review, 6, 5-30. Anthony Lau, John Adams, Jeff Hoi-yan Yeung, Min Zhang (2012), The Challenges and Opportunities Facing The Hong Kong Logistics Industry, Literate Publication Limited. Jeff Hoi-yan Yeung, Xiande Zhao, and Kokin Lam (2011), “DCH Logistics – Planning for La Cafetière,” Operations Management Education Review, 5, 109-134. Xiande Zhao, Baofeng Huo, Barbara B Flynn, and Jeff Hoi-yan Yeung (2011), “Effect of Customer Power on Supply Chain Integration and Performance,” Managing Global Supply Chain Relationships: Operations, strategies and Practices, 9, 191-218. Xiande Zhao, Baofeng Huo, Willem Selen, and Jeff Hoi-yan Yeung (2011), “The impact of internal integration and relationship commitment on external integration,” Journal of Operations Management, 29(1-2), 17-32. Longwei Wang, Jeff Hoi-yan Yeung, and Min Zhang (2011), “The impact of trust and contract on innovation performance: The moderating role of environmental uncertainty,” International Journal of Production Economics, 134, 114-122. Jeff Hoi-yan Yeung, Waiman Cheung, Michael Ka-yiu Fung, Xiande Zhao, and Min Zhang (2010), “The air cargo and express industry in Hong Kong: economic contribution and competitiveness,” International Journal of Shipping and Transport Logistics, 2(3), 321-345. Jeff Hoi-yan Yeung, W. Selen, M. Zhang, and B. Huo (2009), “The Effect of Trust and Coercive Power on Supplier Integration,” International Journal of Production Economics, 120(1), 66-78. Xiande Zhao, Baofeng Huo, Barbara B Flynn, and Jeff Hoi-yan Yeung (2008), “The Impact of Power and Relationship Commitment on the Integration Between Manufacturers and Customers in a Supply Chain,” Journal of Operations Management, 26(3), 368-388. Baofeng Huo, Willem Selen, Jeff Hoi-yan Yeung, and Xiande Zhao (2008), “Understanding Drivers of Performance in the 3PL Industry in Hong Kong,” International Journal of Operations and Production Management, 28(8), 772-800. Man Kit Chang, Waiman Cheung, Chun Hung Cheng, and Jeff Hoi-yan Yeung (2008), “Understanding ERP system adoption from the user’s perspective,” International Journal of Production Economics, 113(2), 928-942. Barbara B. Flynn, Xiande Zhao, Baofeng Huo, and Jeff Hoi-yan Yeung (2008), “We’ve got the power! How customer poser affects supply chain relationships,” Business Horizons, 51, 169-174. Jeff Hoi-yan Yeung, Willem Selen, Deming Zhou, and Min Zhang (2007), “Postponement strategy from a supply chain perspective: cases from China,” International Journal of Physical Distribution & Logistics Management, 37(4), 331-356. Jeff Hoi-yan Yeung, Willem Selen, Chee-Chuong Sum, and Baofeng Huo (2006), “Linking financial performance to strategic orientation and operational priorities – An empirical study of third-party logistics providers,” International Journal of Physical Distribution & Logistics Management, 36(3), 210-230. X. Zhao, Xiande Zhao, Jeff Hoi-yan Yeung, and J. Xie (2006), “Sequence-to-customer goal with stochastic demands for a mixed-model assembly line,” International Journal of Production Research, 44, (24), 5279-5305. Jeff Hoi-yan Yeung, J. P. Shim, and Andy Yin Kit Lai (2003), “Current Progress of E-Commerce Adoption: Small and Medium Enterprises in Hong Kong,” Communications of The ACM, 46(9), 226-232. Jeff Hoi-yan Yeung, Lin Ma, and Japhet Sebastian Law (2003), “The impact of using multiple freeze fences on costs in MRP systems,” International Journal of Production Research, 41(10), 2201-2228. Xiande Zhao, Jeff Hoi-yan Yeung, and Qiang Zhou (2002), “Competitive priorities of enterprises in mainland China,” Total Quality Management, 13(3), 285-300. Xiande Zhao, Jeff Hoi-yan Yeung, and Qiang Zhou (2001), “Competitive Priorities and Advantages of Enterprises in Mainland China,” The 6th TQM World Congress, 2001, 2, 371-378. Highly Commended Award Winner at the Literati Network Awards for Excellence 2008 for the paper: J. Yeung, W. Selen, D. Zhou, and M. Zhang (2007), “Postponement Strategy from a Supply Chain Perspective: Cases from China”, International Journal of Physical Distribution and Logistics Management, 37(4), 331-356. Citation of Excellence – Highest Quality Rating by ANBAR for the paper: J. Yeung, W. C. K. Wong and L. Ma (1998), Parameters Affecting the Effectiveness of MRP Systems: A Review. International Journal of Production Research, 36(2), 313-331.